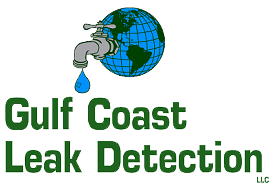 Thank you for visiting our website and learning more about Gulf Coast Leak Detection. We are a family owned and operated business that cares greatly for the communities we work in and for the families we serve. With offices in Panama City, Florida and Tallahassee, Florida we are ideally situated to quickly arrive on scene to any community from Valdosta, Georgia to Ft Walton Beach, Florida. Our entire team is trained to provide you with professionalism and care during such an unfortunate, stressful time of having a hidden water leak run wild. Every hour the water is leaking is another hour of stress building up - just like the costs of your water bill. Don't wait any longer and simply call us for immediate action. Let us care for you and tackle this urgent issue. We offer a 30-Day Warranty on residential pool leak detection. We employ the latest technology that will absolutely find the source of your water leak without guessing and without damaging or destructive techniques. Our friendly staff is ready to assist you with your needs. Call us today and end your water leak troubles, fast & easy.